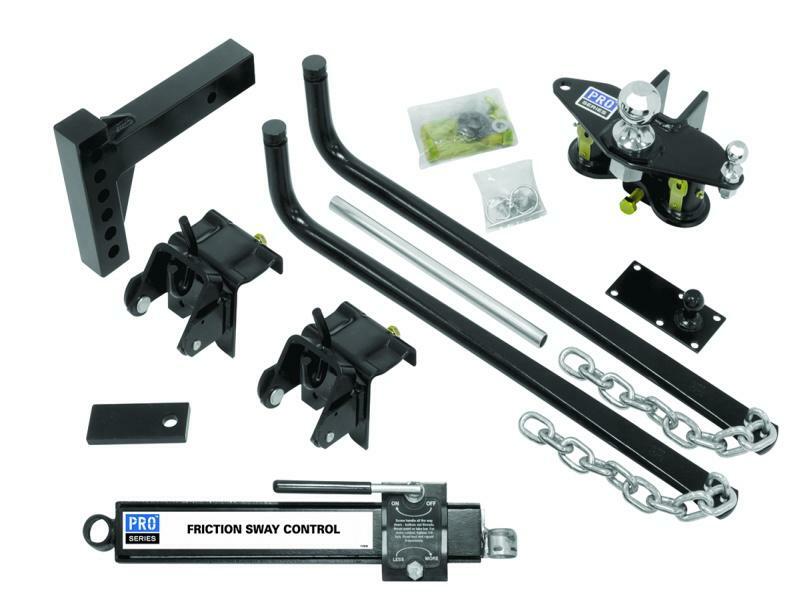 The innovative Pro Series complete 1,200lb round bar weight distribution kit for trailers not exceeding 1,200 tongue weight and/or 10,000 lb GTW. Comes equipped with the standard hitch bar - 2" square, 1" drop/ 5-1/2" rise and a 12" length. 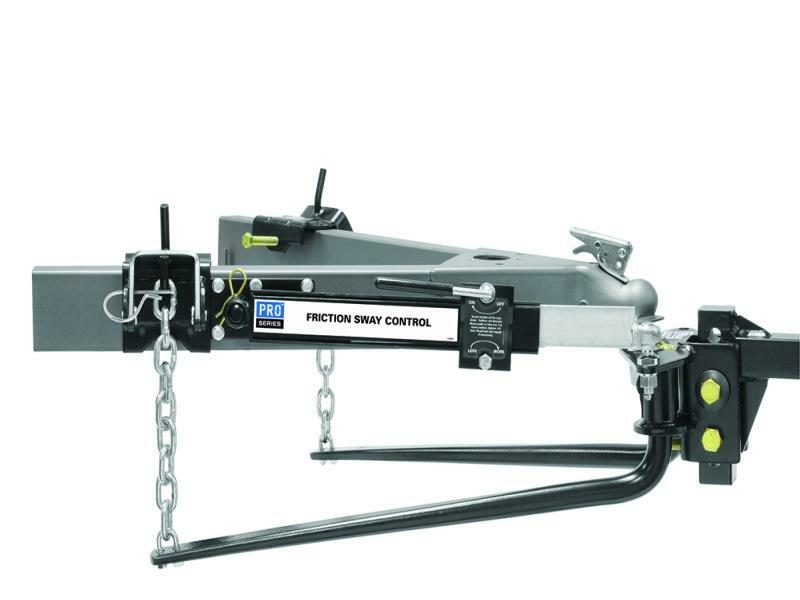 Preinstalled chrome 2-5/16 inch hitch ball and also includes (1) friction sway control unit. Provides everything needed to improve towing, safety and performance right out of the box.